There are a huge range of mobile phone accessories available to consumers that it can be sometimes difficult sorting out the good products from the not so good. Many of us will have owned a Bluetooth ear piece at some point, so we can still take those important incoming calls while driving or working, but unfortunately some of these products can be unreliable. 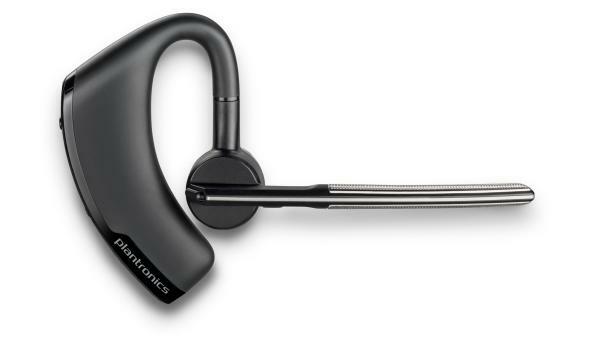 That’s not what can be said about the upcoming Plantronics Voyager Legend Smart Sensor Bluetooth headset though. The upcoming headset features a blend of tuned audio coupled with Smart Sensor technology and intuitive voice enabled controls, which will provide a user friendly device. The new Voyager Legend is the next generation of Plantronics’ award winning Voyager headset range, and features three precisely tuned microphones with enhanced Digital Signal Processing. This will optimize a user’s voice while minimizing background noise caused by wind or other background sounds. The Smart Sensor technology cleverly directs calls to the phone or headset, and allows for the automatic answering of calls by putting the headset on your ear. It will also keep the user informed of the battery level by delivering voice alerts, as well as providing a connection status and announcing a caller’s name. Users can also make voice commands to the headset such as “answer” or “ignore” to keep you fully in control at all times. There is dedicated buttons for call answer/end, power, mute, and voice commands. Optional extras include a battery powered case for charging while on the go, and a desktop charging stand. Other features of the Voyager Legend headset include up to 7 hours of talk time, headset battery meter for the iPhone and iPad, Bluetooth 3.0, and up to 11 days of standby time. The Voyager Legend will be available next month at Apple and Amazon, and priced at Â£89.99/â‚¬99.99.